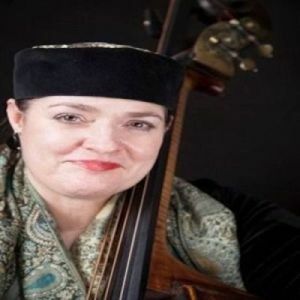 Bassist Melissa Slocum has been performing worldwide since 1982, and worked with such legends as Art Blakey, Lionel Hampton, Cab Calloway, Clark Terry, Wynton Marsalis, Woody Shaw and Hank Jones. Comfortable in genres ranging from duo to big band, traditional to avant garde, she performed and recorded with Charli Persip and Superband, Ralph Peterson and the Fo’tet, Avery Brooks with Craig Harris, Howard Johnson and Gravity, Dakota Staton, Kevin Mahogany, the Firey String Sistas, and the all woman big band DIVA, among many others. Television appearances include Newport Jazz Festival 1999, Kennedy Center 25th Anniversary Gala, BET Interview, CBS Sunday Morning, CNN with the Kevin Mahogany Quintet and CBS News with Lionel Hampton. Ms. Slocum holds a Master of Music in Jazz Studies from the Manhattan School of Music.